By now my readers know that i can't do without BB creams. I'm not much of a foundation person. But what does one do when she is about to run out of BB creams? Actually i had 2 back up skin 79 bb creams while i was still using my Missha no 21. But some very unthoughtful people decided to take "MY" Missha without even asking permission. You can imagine how bitter i was since it was my fav BB cream of all time. And one skin 79 bb cream - i gave it away to an old friend because she really wanted to try Korean BB creams. 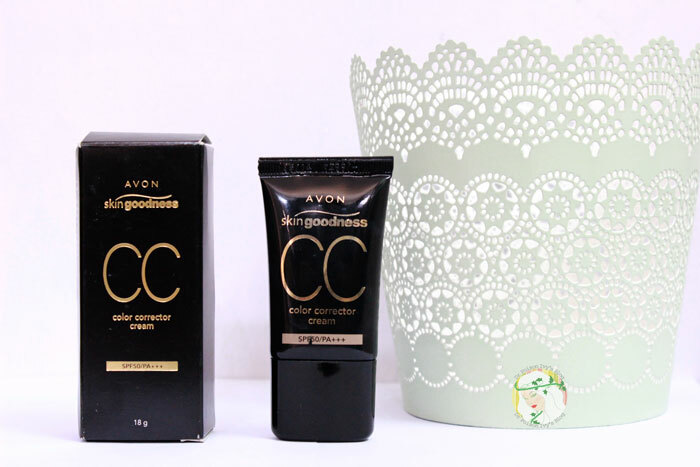 Now i have just one with me and was in a panic HIGH ALERT mode when i received this AVon SKin Goodness CC cream for review. God bless the Avon people. This has become my summer go-to CC cream. 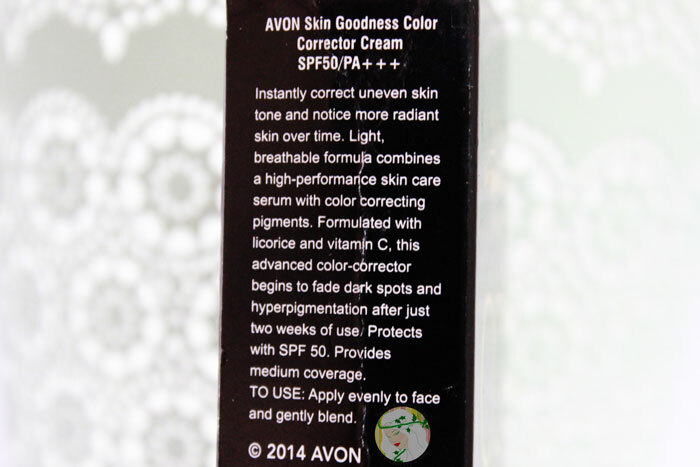 AVON Skin Goodness Color Corrector Cream with SPF 50 PA+++ instantly correct uneven skin tone and notice more radiant skin over time. Light breathable formula combines a high-performance skin care serum with color correcting pigments. Formulated with licorice and vitamin C, this begins to fade dark spots and hyper pigmentation after just two weeks of use. It comes in a nice sleek black tube. 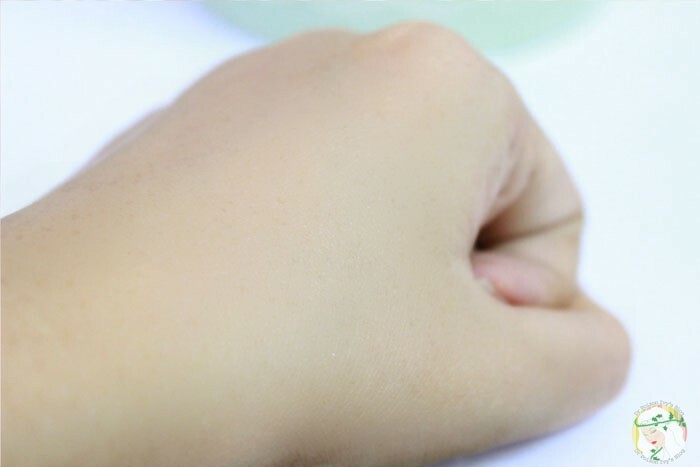 It is only 18 g so you can imagine how tiny this is. In fact i've been using this for almost 2 weeks now and everytime i apply ,i dread that it will get over!!! Wish it comes in a bigger jumbo size too. The nozzle is easy to use,allows right amount of product to dispense. It is very runny . Doesn't feel like i have anything on my face. In this age when people are so conscious about what they put on their face, how can you leave out printing the ingredients? The product slides when i try to build up the coverage. 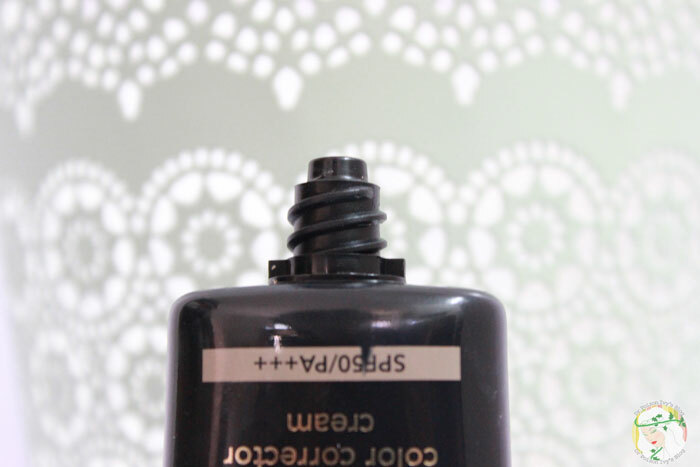 Perfect for summer to get that naturally flawless kind of look with a bit of concealer. I have come across only 2 shades of this CC cream- medium wheat and n*de. Though these are color correctors i don't agree that a brand should launch only 2 shades both of which are very light. It is unfair to dusky beauties. That means i like it. I have been using this for almost 2 weeks now and it hasn't broken me out. I had a zit just when i started using it in Delhi but i blame that on Delhi's humidity. Ever since i left Delhi no-mo zits though the last one left a nasty red scar on my right cheek which is still healing. I love how light the CC cream feels on my face. Needs setting with a powder . The shade N*de does not give medium coverage. In fact it is really sheer but imparts smoothness to my face. 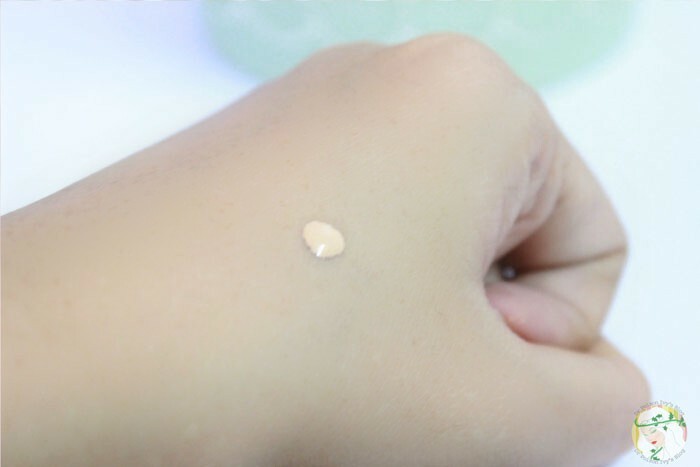 Really hard to build up coverage so if you have lots of blemishes to cover i won't suggest this. It is perfect for summer and the no make up look. However, does not control sweat. Of course, the spf 50 PA++ is an added benefit but it is only against UV A rays which causes ageing. If you want protection against UV B rays (which causes Burns) then you should use another sunscreen before applying the Avon Skin Goodness CC cream. 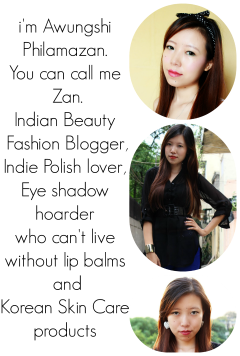 i use Vichy capital soliel spf 50 with protection against UV B and UV A. Overall, i am totally in love with this. Though i haven't seen any dark spot/hyperpigmentation reduction. I won't recommend this for dusky beauties as it would make them look ashy. Phew!that was such a long review. Once again this review is based on my personal experience . What suits me might not suit you. I hope i have not missed out anything. Do let me know in the comment. I'm loving this so much for an everyday no make up makeup look that I might just go to an avon aunty and buy this to stock it up haha. Review well done. Ooh. This CC cream looks nice. It kinda looks like a tinted moisturizer to me, though. I am loving this. But it is so tiny I am scared I will run out of it every time I use it. Oh I love the SPF 50!! It is so rare in makeup! too bad for the limited shade choice! nice review! Spf 50! I don't think any other BB Cream has such high Spf. And light weight texture too.....sounds nice. I liked it as a sunscreen. Did nothing for coverage. So, didn't like it as a BB Cream. But as a light sunscreen which works for my oily skin, I would definitely give it a thumbs up. www.youravon.com/karie_authenticradiance please feel free to contact me from my website!